Pagelines: The Best Premium Theme Framework for WordPress? Picking the right theme for your WordPress website is one of the most important decisions you make in determining its success. That may sound overly dramatic, but it is true. Yes – content is extremely important, as is effective promotion. But if a visitor arrives on a site that looks less than professional, they will immediately start making negative assumptions. This may not have too detrimental an impact if you are a personal blogger and have no intention of monetizing your site, but if you are in any way commercially minded, creating an attractive design should be a major priority. With that in mind, today I want to explore a popular premium theme framework that promises to make professional design simple. If you have been a WordPress user for any length of time, you have probably heard of Pagelines. They have been around for a quite a few years, and have carved out a pretty exclusive niche in the premium theme market – drag and drop WordPress site design. You certainly can’t fault them for ambition – most people would argue that combining speed, ease of use, and quality is a tall order (if not impossible). After all, how can Pagelines be better than the competition, whilst being faster and easier to use? Two things become clear after tinkering with Pagelines for just a few minutes – it is quick, and extremely intuitive. Whilst the interface can be a little overwhelming at first (much in the same way as WordPress’ dashboard was when you first saw it), it takes a short amount of time to become comfortable. The developers have clearly gone to great lengths to ensure that users do not feel overwhelmed by the power at their fingertips. The above video goes a long way in showcasing the capabilities of Pagelines, and whilst the speed at which the demonstration is carried out somewhat masks the relative complexity of the process, it is still an impressive example of what is possible. Although Pagelines is touted as an easy solution for those who have never seen a line of PHP, HTML or CSS in their life, coders will find that it is just as user-friendly to advanced customization. In many ways, it is a natural extension of WordPress’ own default capabilities. Whilst any competent web designer is capable of designing a website from scratch, they use WordPress because it is so much easier. In the same way, Pagelines allows somewhat complex tasks to be carried out with the click and drag of a mouse. Although you certainly could achieve the same end result with some manual coding along with WordPress’ hooks and filters, why would you when it is so much easier to use Pagelines’ interface? When Pagelines released v2.0 of their framework back in December 2011, they publicized their intention to create an all-encompassing web design platform. The Pagelines Store was introduced, where you can download “apps” that you can plug straight into your framework. With functionality from squeeze pages to a fully-fledged eCommerce platform, Pagelines’ developers have set out to better WordPress’ own plugins repository, with greater quality control and smoother integration. The support system must also be touched upon. The most basic Pagelines package comes complete with a one year subscription to the support forums (as well as framework updates). But if you purchase a Plus Membership plan, you get the full support experience, with the addition of live chat and ticket support. It is clear that support is a huge priority for Pagelines – with a focus on providing a quick and easy theme design solution, they must excel at producing results for their customers. The Pagelines framework is offered in two different flavors, each with two price points. That may sound rather complicated, but it isn’t in reality. The Framework pricing plan gives you just what you would expect – the framework. The feature set changes depending on whether you go for the personal or professional version, but this is somewhat barebones option. Having said that, it gives you everything you need to produce an attractive site. The Plus Membership plan has an upfront cost as well as a monthly fee, but you get a plethora of additional features in return. In addition to the full support experience mentioned above, you also get access to extension in the Pagelines Store, and one new “Premium Plus” extension per month. So there are options to suit most needs. If you just want the framework, you will pay a little more up front, but there are no recurring fees. If instead you would like the ongoing extended support and extensibility of a membership plan, you will pay less up front. What is perhaps most pertinent is that all of the plans come with a 30 day money back guarantee. Having had an extended play with the Pagelines framework, I can certainly consider myself a big fan of its ease of use and power. But when it comes to making a decision as to whether you should invest in Pagelines, there is ultimately one question – with so many premium theme frameworks available, why should I choose Pagelines over the alternatives? The answer to that question will be determined by your own personal priorities and needs, but in my opinion, Pagelines is an option that should be considered amongst the top contenders. 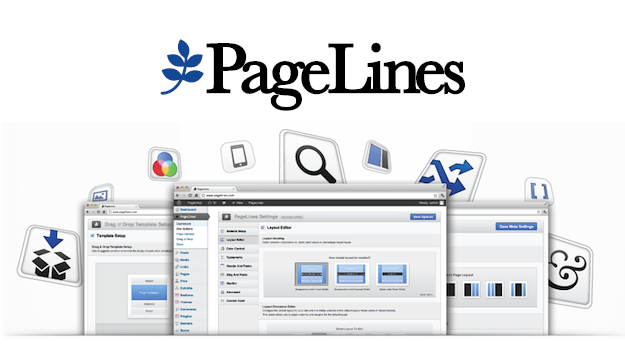 It offers some truly unique features, such as its drag and drop interface and extensibility via the Pagelines Store. There is no real reason I can give you not to use Pagelines – it is a wonderful product. I was to start using Headway Themes, but it looks look the new Pagelines will be the definitive theme for wordpress. Yep, it looks pretty impressive! Tom, have you tried the new Pagelines version? Do you offer any tutorial? Overall, I like it and would recommend buying it. I find the Navbar native styling somewhat lacking, and I still had to drop down into CSS to get the look I wanted, but that’s not unusual. The CSS design is fairly clean and therefore a bit easier to modify. I’ve been using PageLines for about a month now. I gotta say that while it’s very impressive, I’m pretty disappointed with the lack of support. Yes, I use their premium chat and they have forums, but it feels like you gotta jump through hoops to get things to work. I feel like I’ve wasted a ton of hours learning this framework and I’m not seeing the results. As a very satisfied ManageWP client, would there be any issues using PageLines for my sites? 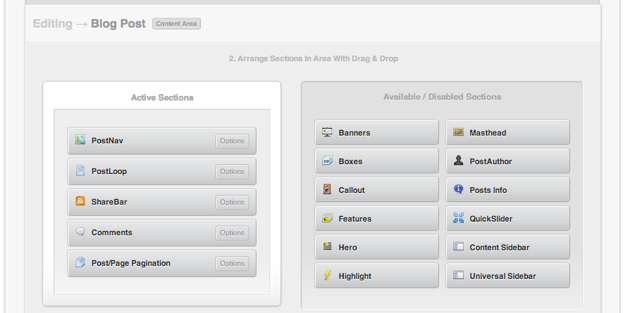 I’m getting tired of having to deal with the premium themes at Themeforest. They’re bloated and take forever to customize the child themes. I’ve been looking for a better solution, but haven’t found any. I messed around the PageLines demo, but can’t really tell if that’s what I’m looking for. Also- another recurring monthly fee isn’t too enticing. Hey, Tom. Check out http://wpmu.org/wordpress-framework-comparison/ . What timing, posted on the same day! 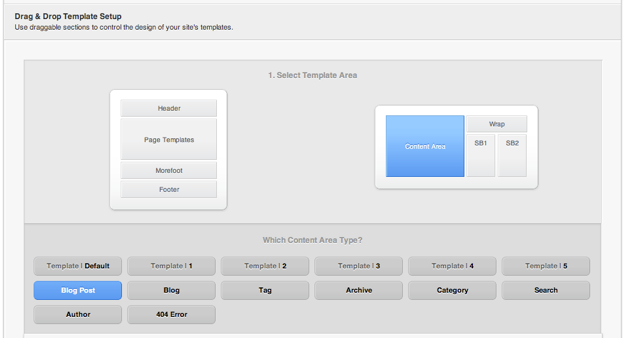 Looks like an awesome theme framework: I’ve seen this before I think but couldn’t find it again when I searched for it. This type of flexible WordPress theme is especially useful for those who want something different but don’t want to spend their life hacking code. Once people try something like this it can be hard going back to a more constraining theme (I know after I used the excellent WP Weaver theme I could never understand why I should need to know CSS to acheive my goals), but every theme and framework has it’s strengths and weaknesses. Will have to check out pagelines more carefully. Did you check into it? What are your impressions as far as speed and reliability? Did you find any bugs?.